Christian Geology. 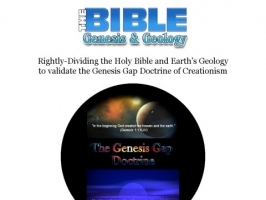 KJV Bible Genesis Gap Theory Old Earth Creationism and Noah's flood. What the King James Bible reveals about the age of the Earth. Welcome WebMob Technologies, the newest member.